A week has passed and it is time to share our desks once more. This also happens to be my 1000th blog post and I am so pleased it has fallen on a Wednesday. 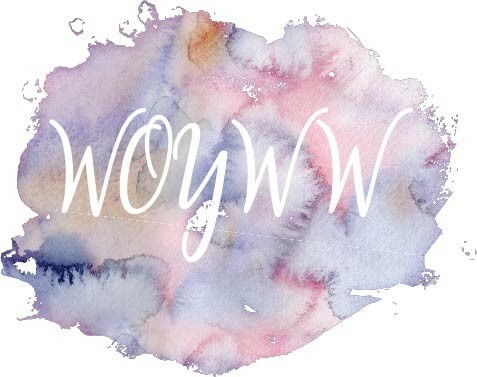 We are creeping ever closer to the 10th anniversary of WOYWW, only 6 more weeks to go and the community is as strong as ever, thanks to Julia over at the Stamping Ground keeping things going all this time. Just my side of the desk to share today. As you can see if you look to the other side, Eva's chair is empty and will be for a few weeks as she travels the country examining on her days off. I decided to show a wide view again. I was working on an art journal page in my leather bound journal. You can see some of the stamps and stencils that I had been using. For once I remembered to take a picture before I put everything away. If you want to see the finished piece, I will be sharing tomorrow. As you can see, I have space for up to four visitors, so if you ever want to join me in the shed, let me know! I will be round to visit this evening after work, so see you all soon. I love your journal page! blog visitors seem to be down all over, I find although I get way more visitors than comments but hey ho. I shall keep going! Happy WOYWW and congrats on 1000 posts. Helen #? Congrats on your 100th blog post - must remember to check mine out - I am always in a burry and don't look at these things. Sorry Eva won't be joining you for a few weeks but I guess work has to take precedence. If my back was better i would be down to see you but as it is we are still working on it and other things. Fingers crossed for the crop at least. Will Eva be gong there? Guess so as it is not a work day. That's a mammoth blogging celebration Sarah, congrats. I've no true clue as to mine as I used to have two blogs & decided on sticking with this one since 2016 should have merged them before I deleted it << silly me. That leather bound journal looks super, great layout. You really do have a great space to create in. Morning Sarah. Well done on your 1000th blog post. I don't know how you manage it!!!! That page background looks pretty cool so I'm looking forward to seeing it tomorrow! I can hear Robbie Williams singing Millennium in my head! Many congrats on your 100th post, that's a lot of blogging!! May there be many more. Love the colours in the journal so soft and pretty, have fun with the rest of it! I would LOVE to come over and craft together with you... if I only I lived near... I like the blues on your journal spread. And a thousand posts... wowzah, congratulations! It makes me wonder how many blogposts I've written over the years... In fact I'm so curious that I will go look right now! Congratulations on 1000 blogs. I have only recently started to read your blog but I enjoy reading how you have achieved your great pieces of art. Only thing is my breakfast takes much longer now as I catch up with you all via FB & your blogs but it beats doing the housework !! Hi Sarah. I really like your page - love the blues! 1000 posts - well done! Looking forward to the crop and meeting up with so many folks. Gorgeous journal page but then I'm very partial to blue. Gorgeous page, Sarah. Sorry you're on your own in Eva's absence! Thank you for your comment. You can now see the photos on my new Wordpress blog at https://shoshhiplatypus.com, which I have also linked to a Julia's under a new number. Yay Sarah, so glad you can see my photos and got to my new blog OK! Thanks for letting me know. Can’t imagine 1000 posts, wow! Still loving your journa. Will check back tomorrow! Hi Sarah, Love your journal pages. Hello! I love the colors for your art journal. And I tried to reach through my screen to snag those beautiful stencils you have there! They are so lovely. Thanks for popping by. I did have so much fun with my crafty gals on our trip. The Inn we stay at is so accommodating. You definitely should work with Julia and organize a stay at a nice Inn that will let you set up and play with your craft goodies. It's the best medicine! Have a blessed day! Mm 1,000 posts is pretty amazing Sarah think I’m in 600’s.. and that’s quite enough for me... it seems you do one nearly every day looking back.. or of late, enjoy your desk, loving the journal page and Lacey diecuts. congratulations! i would love to art with you but we aren't "just around the corner," unfortunately.